The long-awaited first monograph from the AD100 New York City and Miami-based interior designer recognized for his considerable knowledge of 20th-century design, furniture, and art. 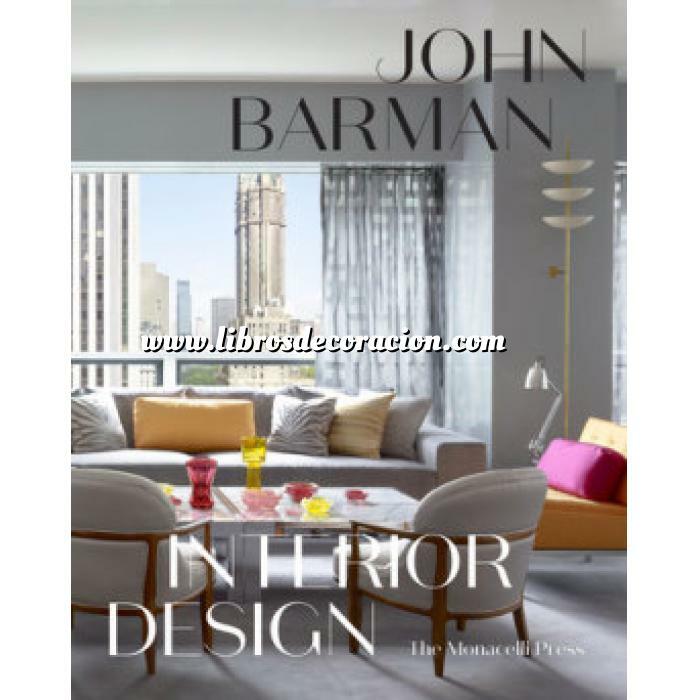 From demolishing walls in favor of a floor-to-ceiling, canary-yellow sliding door that opens two rooms to one spectacular Miami Beach view, to adding a sense of translucency to a regal 19th-century Upper East Side townhouse by dividing interior rooms with steel-framed glass doors, John Barman demonstrates in full force—with this book—the clear-cut, decisive blend of glamour and functionality that has won his firm accolades over the past 15 years. At once a classicist and a modernist, John Barman favors handsome, crisp lines and the unrestrained use of strong, resonant color. He can be seen taking decorative cues from contemporary art collections (a palette of warm beige and gold to showcase an Ed Ruscha, or colors and forms inspired by an Alex Katz portrait), seamlessly incorporating antique Persian rugs or Indian artifacts, or combining custom pieces with rich historical references to complement an enviable collection of French art deco furnishings. The fifteen residences featured in these photographs show the designer’s full range of talent with color and texture, as well as his masterful ability to honor history and formality while resisting the expected. Chic New York City penthouses, townhouses, and lofts showcase Barman’s distinctive methods of arranging rooms to facilitate meaningful interaction; polished white flooring and reflective finishes bring ocean light and color into seaside Miami homes; a traditional Shingle Style summer house takes unexpected inspiration from the Indo-Saracenic Royal Pavilion in Brighton, England; and a converted barn in Connecticut is midcentury, California modern rather than country-rustic cliché. Unexpected materials appear in new ways throughout—cobalt blue lacquer on the underside of a spiral oak-and-glass staircase; pink metallic leather and striped velvet update traditional chairs. Whether an open kitchen for an avid home cook, or a streamlined bar wall for cocktail parties, minimalist black and white or teal flocked velvet walls, each space reveals Barman’s signature sophisticated style, bold new ideas, and strong point of view.